Wandering and Wondering: Uh Oh! I have no prior commitments! I have a couple of plants to re-pot. Love playing in the dirt. Gonna put some good Joni Mitchell and James Taylor music on. The plants really like it and it helps with the trauma. There is a quilt to finish, just the final touches. But first, a new project: painting hangers! Okay, my friends, this may sound weird but I have this idea, probably saw it somewhere because I don't think it gave birth in my head. I have three wooden hangers for slacks or skirts. Part metal and part wood. No more skirts for this one! I've decided to paint the metal in a copper create a verdigris patina. Then I will distress the wood a tiny bit and paint it white with a dry brush. After the three of them are dry, I am going to hang them in my studio vertically and use them as photo frames for 8 x 10's. I asked the guy if he would have the lab print the photos with two inch white borders and he said it was doable! Seriously, I should not be left unsupervised! I'm also not going to juice today but I'm going to have oatmeal with a banana (just in case you cared to know how seriously I can get into trouble). I hope you show the hangers when you finish painting. I have seen similar in shops which are, naturally, two, three or more times more than a plan wooden hanger. I will definitely post a picture when I'm done. Martha said she saw some on Pintrest. I think that may be where I saw them. It is always more fun to make your own than to buy! You wild 'n crazy gal! hell, I'd have a glass of wine or two and paint away! Definitely tomorrow. Didn't get to them today! 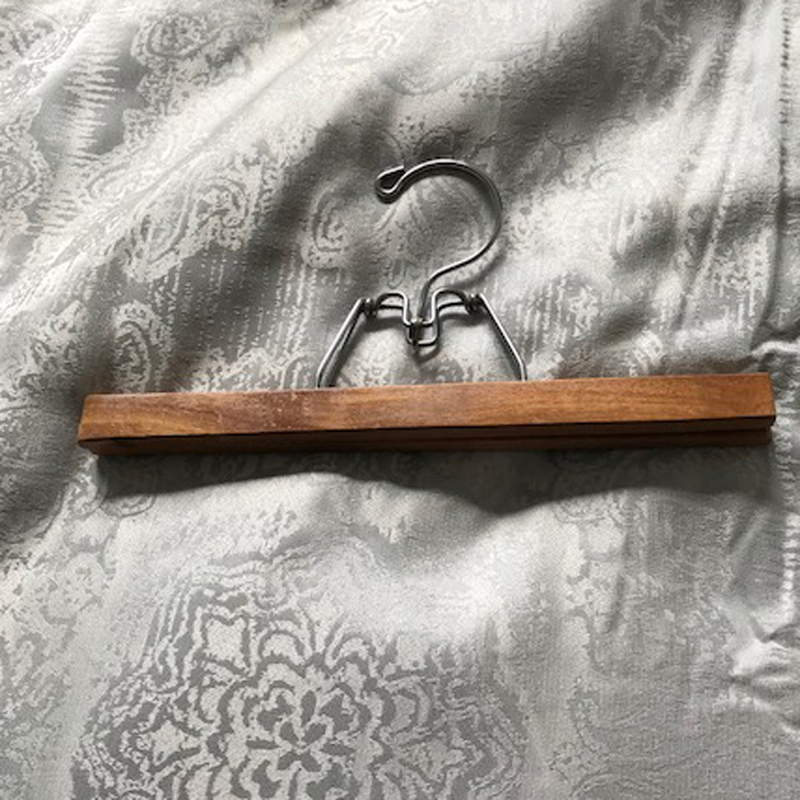 That hanger picture hanger is a cool idea! I'd love to see it when done! I will definitely post! I'm excited to get them done. That's really neat. We were discussing a white paint job here, ourselves. Substantially larger, thought. Good luck with your painting. I just finished painting bathroom and master bedroom. Lots of work but I love it! I have been spending lots of time on Pinterest lately, so I bet that's where I saw them. I'm excited to do them.